For decades Donald Trump has been one of the more ridiculous figures in American public life. There’s the flamboyant business career, with endless self-promotion covering up sometimes dodgy practices. There’s the tacky, messy personal life that’s provided tabloid fodder since the 1980s. There is, of course, the reality TV show career. To say nothing of that hair. He excels at being his jaw-dropping self, which he has made into a lucrative full-time job. There cannot be many Americans alive today with higher name-recognition than Trump. Now The Donald has yet again reinvented himself as a serious politician — or at least someone who looks like one. Having thrown his hat — flamboyantly, of course — into the crowded ring of Republican presidential contenders for 2016, Trump has naturally received press attention befitting his status as a bona fide celebrity. This has predictably driven the GOP establishment bonkers, with mainstream right-wing denunciations befitting a child molester. It’s not hard to see why GOP machers detest Trump. Bringing to the race nothing but his fame and his mouth, Trump has defied the best-laid plans of the Republican Establishment. Worse, as a billionaire, or at least close to it, he has his own money and doesn’t need to kowtow to the party’s billionaire donor class that plays such an outsized role in GOP coronations. Since that elite coterie includes maniacs who publicly fantasize about nuking other countries, it’s hard to say Trump’s the crazy one here. To top it off, Trump has already carved out his niche in the 2016 race as the straight-talker who isn’t afraid of third-rail issues, above all immigration. Despite the fact that issues of immigration and national sovereignty are hot-button topics across the Western world, already shaping elections, the American establishment — political, corporate, and media — has decided that it’s not a proper subject for discussion among civilized people. Trump has, of course, reacted by doubling-down. Univision’s campaign against him as a “racist” was met by The Donald threatening to sue and banning Univision personnel from Trump’s Miami golf course which just happens to be located right next to that TV network’s headquarters. The Donald is ever The Donald, and he seems to be savoring all this media attention. How not? Giving Trump the ability to pose as a victim of the PC Mafia, showing that even billionaires are not safe from their righteous indignation, is a big boost to his political campaign and presumably exactly what he had in mind. Trump’s straight-talk and pugnaciousness drive the mainstream everything in America crazy but they’re a big part of his appeal to citizens in flyover country. Standing up to Mexico and China is popular with millions of normals in America, people who never get asked their opinion by the media. No wonder that Trump’s poll numbers are surging at the moment. This sudden rise has been met with dismissive comments from the GOP Establishment, who assure us that Trump’s popularity is fleeting, no more than a media sensation. This, too, shall pass, the K Street cognoscenti state with confidence. They are surely correct that Trump will never be the Republican nominee in 2016, or ever, and he has about as much chance of moving into 1600 Pennsylvania Avenue as my cat does. Yet that misses the point. Trump, by virtue of being Trump, can force the GOP to discuss issues it would really rather never see brought up, such as immigration and trade, and their impact on the wages and lives of average Americans. 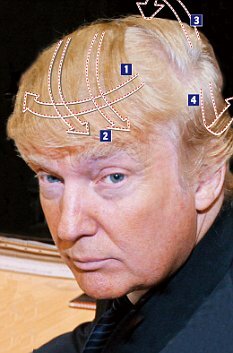 I have no idea how the GOP can exclude Trump from debates, given his poll numbers — and if you thought The Apprentice was must-see TV, just wait for The Donald and his hair debating the whole Republican cast of 2016 wannabes. Get popcorn, folks. To be clear, the Republican Party has nobody to blame but itself for this mess. However ham-handedly he discusses them, Trump has brought up real issues that merit serious debate in this country. Is it really wise to import large numbers of low-skilled immigrants when our economy is already failing to provide enough jobs for its lower-skilled citizens — to say nothing of the rising impact of robots and automation on working-class Americans? Moreover, immigrant crime is a reality, not a figment of the nativist imagination. Free trade is not God-given law — America became the world’s biggest economy precisely because it did not practice free trade — so why do we treat it as holy writ? Above all, when did Americans ever get asked if they wanted the Federal government to stop enforcing our borders? When did developed countries decide that having actual borders is a violation of basic human rights? I can’t recall any referendum on that. This is an issue across the Western world. So far, only Australia and Israel have taken robust steps to halt migrant flows, but they have shown that admitting large numbers of illegal immigrants is a choice, not a fait accompli or a fact of life that developed countries can do nothing about. Given the enormous migrant flows facing Europe now, this is sure to become a bigger and more contentious issue in many countries. All these are critical matters that merit serious discussion, not rabble-rousing. Yet when the mainstream powers-that-be stifle such necessary discussion, confining it to the fringes, don’t complain when fringe characters are the ones talking about it. Alarmingly for our elites, far beyond just the GOP, Donald Trump is one of their own and he’s grabbed the third rail hard and shows no sign of letting go. Worse, he can always get media coverage. Is all this spectacle just another Trump stunt to hold on to the spotlight? If so, it’s not the first time The Donald has done just that. Regardless of Trump’s motivations, his emergence as a political, not just media, figure may portend changes to what is suitable for discussion in America. In Hungary, Prime Minister Viktor Orbán has stated his country will not accept more migrants and Budapest will build a fence on its southern border, earning the wrath of the beautiful people in Brussels. Trump has promised a similar fence, indeed wall, for America, and has met a similar reaction from our bi-coastal elites. Since The Donald is anything but a fool, presumably that was exactly what he expected. Next Post Next post: Is Putin Playing Puppetmaster in Greece?